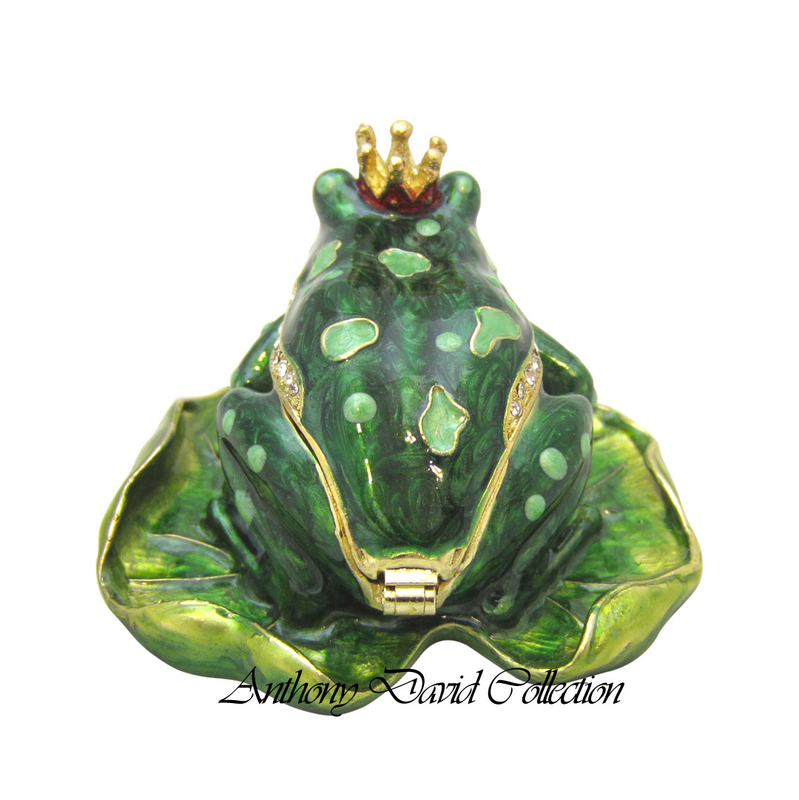 Just one kiss and a Frog turns into a Prince! 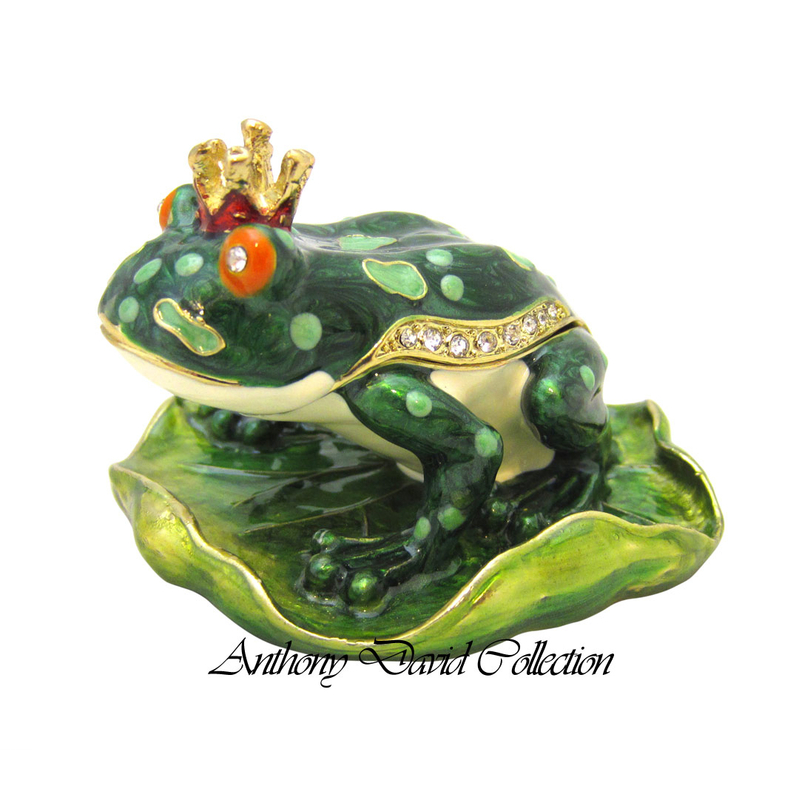 This Anthony David Frog Prince Trinket / Keepsake Box is made of solid pewter with a gold plated finish. 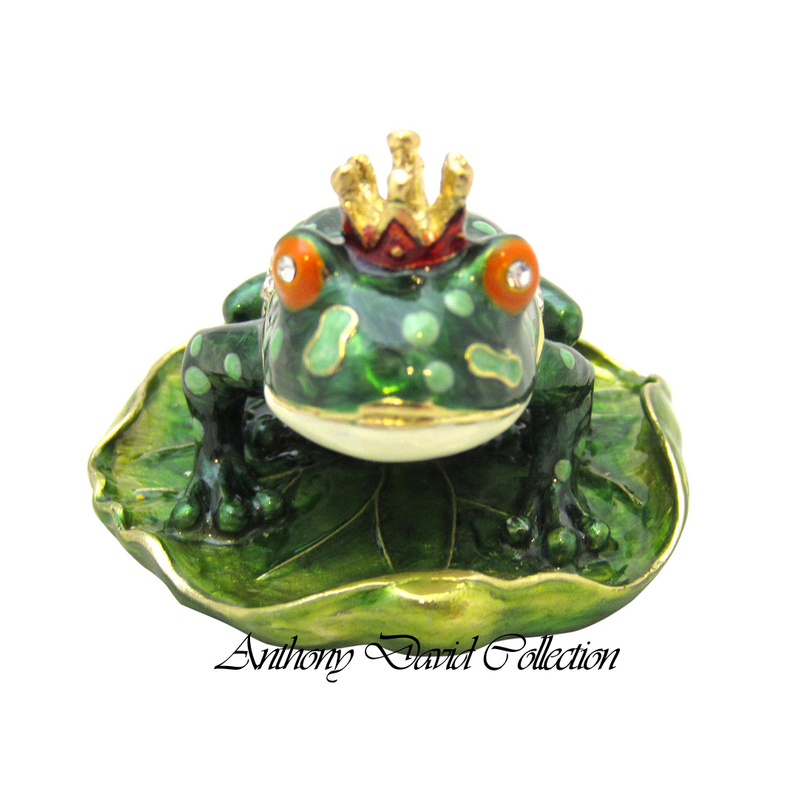 The top is accented with Austrian crystals and hand painted with a colorful enamel finish. 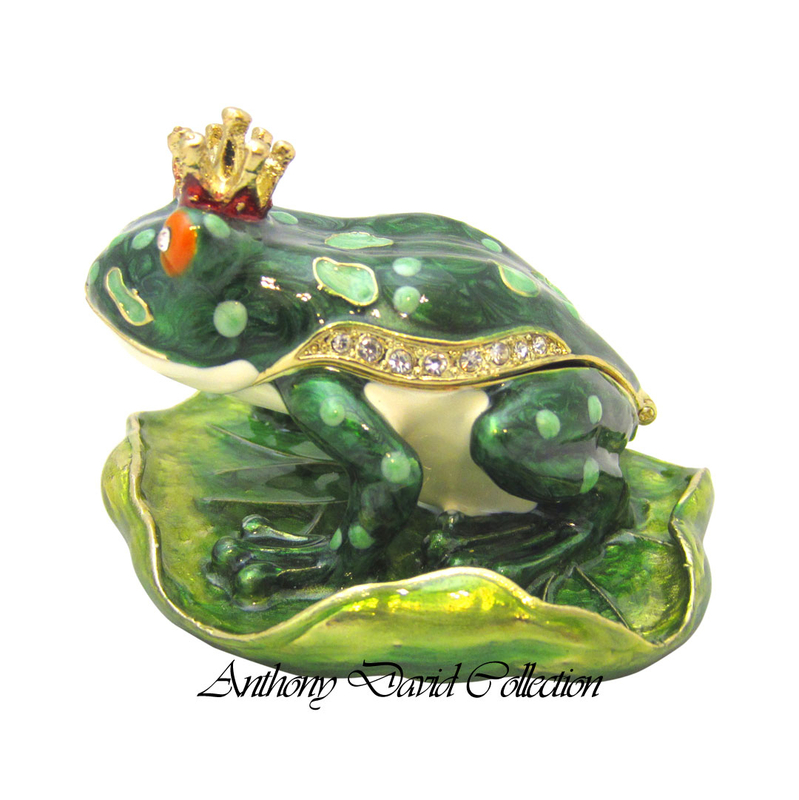 This is the perfect collectible keepsake box, gift item or trinket box. Made of solid pewter with a gold plated finish. The top is accented with Austrian crystals. Hand painted with a colorful enamel finish. 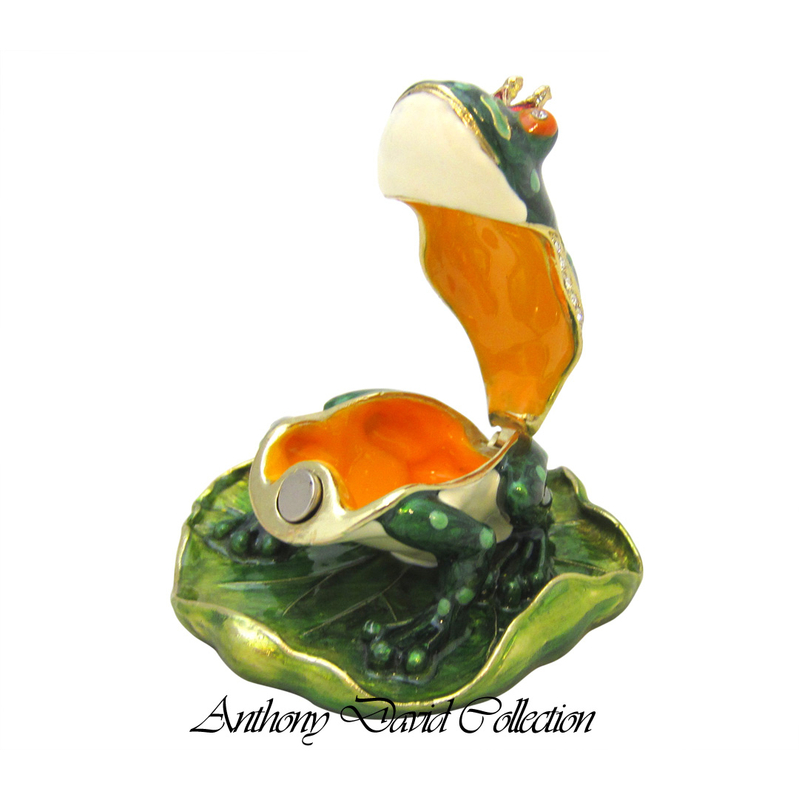 This is the perfect collectible keepsake box, gift item or trinket box. See all of our keepsake boxes.